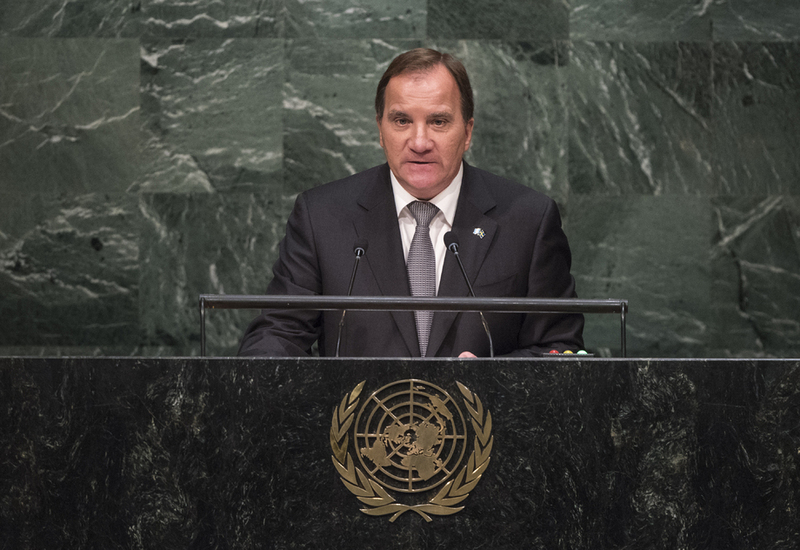 STEFAN LÖFVEN, Prime Minister of Sweden, stated that the current global crisis was a global crisis of responsibility. The international community should dramatically increase the number of resettlement places, expand legal venues of migration, and base all efforts on the principles of non-refoulement and the right to seek asylum. It was also extremely urgent that all countries of the European Union treated the people seeking refuge in the Union in a spirit of humanity and solidarity. “Sweden will do its share,” he said, noting that his country was the largest per capita receiver of asylum seekers in Europe and was increasing its funding to the Office of the United Nations High Commissioner for Refugees (UNHCR). Further, the Security Council and its major powers must shoulder the responsibility and end this bloodbath. Meanwhile, other conflicts should not be forgotten, he cautioned. A seven-year-old child in Gaza had already lived through three wars. Peace talks needed to be resumed so that Israel could live alongside a democratic and viable Palestinian State. Sweden would also step up efforts for peacekeeping and crisis management and was contributing civilian personnel to missions in South Sudan, Afghanistan, Liberia, Democratic Republic of the Congo and the Middle East. Working to keep the peace also meant following through on the promises of disarmament, including by pursuing legal, practical and technical solutions to fully rid the world of the remaining 16,000 nuclear weapons. Further, he added, creating a low-carbon and climate-resilient world economy while protecting land and ocean ecosystems was not a choice, but a necessity for survival. To fully grasp the potential of the new world economy, he added, the international community must remove old colonial prejudice and false conceptions of large and small, North and South, East and West. Sweden wanted to make the United Nations more effective, transparent and fit for purpose. In 2017, Sweden would seek non-permanent membership of the Council and would strive tirelessly for a Council that could respond swiftly to the security challenges of the time. A reformed Council must reflect the realities of today, with adequate representation of Africa, Asia and Latin America. Sweden also supported efforts to limit the use of the veto, he said, and fully believed that international solidarity was the best foundation of shared peace and security.